NORTHPHIL EXPO in Clark to share wonders of tourism & water with the world! An international expo at the SM City Clark will share with the world the wonders of water and tourism in North Philippines (Northphil Expo) on November 15-17, 2013. 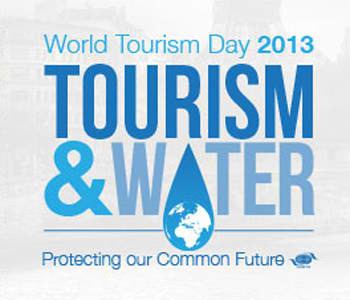 Dubbed NorthPhil Tourism and Travel Expo 2013, the event will showcase the region’s water resources management and conservation efforts in supporting the United Nations International Year of Water and World Tourism Day theme Tourism and Water: Protecting our Common Future. The NorthPhil expo is a public-private partnership effort of the northern regional offices of the Department of Tourism (DOT), the Association of Tourism Officers of Central Luzon (ATOCEL), and the Philippine Exhibits and Themeparks Corporation (PETCO). 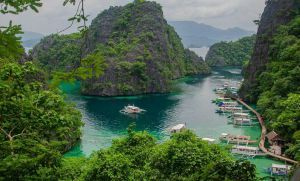 DOT Central Luzon Director Ronnie P. Tiotuico cited NorthPhil’s vast marine and fresh water resources as among the diverse tourism attractions to be featured in the expo. 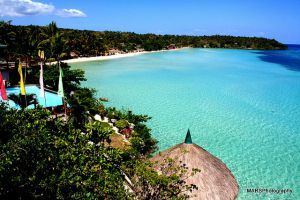 “From white sand beaches to the country’s longest and largest river (Cagayan River), North Philippines is teeming with water resources between the West Philippine Sea and the Pacific Ocean,” Tiotuico said. The North also hosts the Clark International Airport, named as the “Third Best Airport Freeport Zone in the World” based on a survey by FDI magazine of the London-based Financial Times Group. The Clark airport now brings in over a million passengers and boosts tourism in the entire North Philippines,” Tiotuico added. Slated at the SM City Clark on November 15 to 17, the NorthPhil Expo 2013 will be presented by the DOT regional offices – CAR (Cordillera Administrative Region), Region 1 (Ilocos and Pangasinan). Region 2 (Cagayan Valley), and Region 3 (Central Luzon) — with the support from ATOCEL and PETCO. The event will showcase indoor and exhibits featuring popular, new and emerging tourism destinations and attractions, and travel-related products and services both local and international. The exhibits will include tourism and travel destinations, products and services, provincial pavilions, and corporate booths offering affordable and exciting tour packages. It will also feature traders’ booths selling arts and crafts, souvenirs and regional products and delicacies at farm gate prices. The expo shall treat visitors to three days of fun involving cultural presentations, raffle draws of airline tickets and hotel accommodations, flairtending competition, quiz challenge, corporate game shows, crafts, culinary demonstrations and food festival. The exhibitors include companies in agri-tourism, eco-tourism, time share and leisure properties, airlines and air alliances, hotels and resorts courses, national and local government agencies, restaurants, retirement villages, spa resorts and destinations, themeparks and amusement centers, foreign tourism boards, tourism transport operators, travel and tourism associations, publications, travel insurance, and wellness centers, among others. The expected visitors are conference and convention organizers from the Philippines and abroad, educational institutions, government entities, international and domestic travelers, local, foreign and corporate buyers, tour organizers, planners and holiday specialists, travel agents and tour operators, travel enthusiasts and the general public. The event’s venue is a 17-hectare lifestyle hub with over 300 shops and restaurants, and frequented by over 60,000 visitors daily as the mall sits prominently in a popular international tourism destination in Central Luzon. Tiotuico said NorthPhil Expo’s major destinations alone accounted for nearly 14 percent or over 1.5 million of the country’s foreign and domestic tourist volume of 11.7 million in 2010. This annual expo has been drawing local and international attention to North Philippines, which hosts a diverse but contiguous sprawl of tourism attractions boasting two international gateways – the Clark and Subic international freeports.